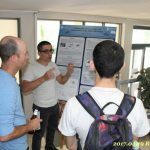 The Annual Graduate Studies Research Day took place on April 19, 2017 at the Faculty of Aerospace Engineering in the main lobby. 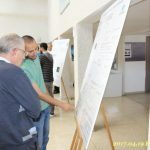 The faculty’s graduate students’ research was exhibited in poster format to undergraduate and graduate students, faculty members, candidates for graduate studies and industry representatives. 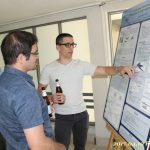 As in past years, a judging committee chose the best posters by MSc students and PhD students, and the crowd picked its favorite. The following day, the winners of “best poster” in each category were announced. 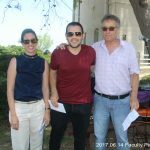 The prizes were awarded to them all during the faculty picnic on June 14, 2017. 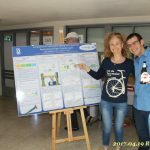 The first prize (1000 NIS) in the Masters category and the second prize (500 NIS) in the Masters category were awarded to Shahar Wollmark, under the supervision of Dr. Yinon Yavor and Prof. (Em.) 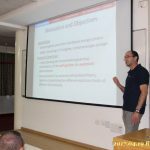 Alon Gany, and to Kobi Cohen, under the supervision of Assoc. Prof. Daniella Raveh. The prizes will be shared by the two of them. 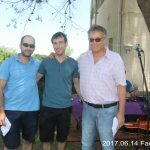 The first prize (1000 NIS) in the Doctoral category was awarded to Shimon Julius, under the supervision of Asst. Prof. Beni Cukurel. 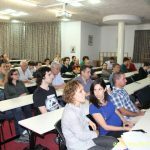 The second prize (500 NIS) in the Doctoral category was awarded to Alon Lidor, under the supervision of Dist. Prof. (Em.) 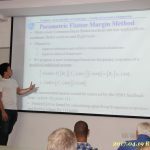 Daniel Weihs and visiting Prof. Eran Sher, and to Igal Gluzman, under the supervision of Prof. Jacob Cohen and Prof. Yaakov Oshman. The prize will be shared by the two of them. 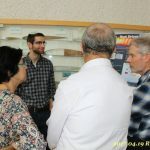 Last but not least, the most popular poster, based on ballot voting by attendees at the Research Day, is Alon Lidor‘s, under the supervision of Dist. Prof. (Em.) 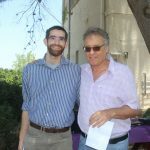 Daniel Weihs and visiting Prof. Eran Sher.